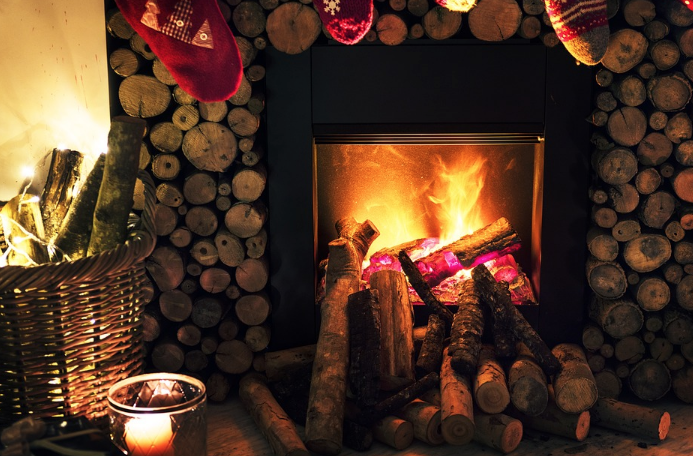 During this time of year, nothing is cozier than sitting around the fireplace, sipping some cider, and enjoying the warmth. However, regular maintenance of your fireplace is essential to keep your home warm and to reduce the chance of fires. Cleaning your fireplace is more than making sure that decorative fireplace mantels look clean. What do you need to do? When is the best time to clean your fireplace? According to the Chimney Safety Institute of America, there should not be creosote build-up any more than 1/8th of an inch (or roughly three millimeters). Anything more than that will increase the chances of fire in your home. Look beyond the fireplace mantels and inspect your chimney carefully for build-up, leaves and debris, build-up, and even water damage. In general, your chimney should be cleaned at least once or twice a year. Have professionals clean your chimney right before the fall when most homeowners greatly increase the use of their fireplace. If you do not clean the chimney before the fall, you risk a chimney fire due to build-up from the previous year. A simple look with a flashlight will let you know if your chimney needs to be cleaned. This is also a good time to look for little critters that have made a home in your chimney. While most chimney cleaning jobs require professionals, it is possible to do minor cleaning on your own. You will need several items like a broom and dustpan, chimney brush with extension, sturdy ladder, plastic tarp, dust mask, and goggles. You don’t want to wear your best clothes when cleaning a chimney. Wear something old that you can discard after cleaning. Don’t forget the importance of the dust mask. Before cleaning the chimney, you will need to protect all the items in the room, including any expensive rugs, with the tarps. Be sure to clean the chimney from the top down. It is important to remove the damper from the chimney flue. Be sure to use the wire brush to clean small nooks and crannies within reach. The chimney brush extension will help you reach every spot in your chimney. Always partner up with someone to hold the ladder for safety purposes. You want to clean the entire length of the flue, scrubbing carefully in an up and down motion. After cleaning the top, go inside and use a brush to clean the bottom. Then with a partner, use the chimney extension to clean from the bottom up. Sweep up any debris. Remember that creosote is flammable. Be sure you dispose of it properly. Call a professional team if you are not comfortable cleaning your chimney. 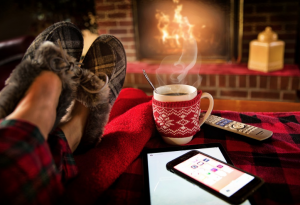 It’s fall, and homeowners depend on their fireplaces and wood stoves to keep them warm during the cool days and nights. However, each year injuries and property damage occur due to preventable fires. Some fires could be prevented by hiring a chimney sweep to clean up build-up. 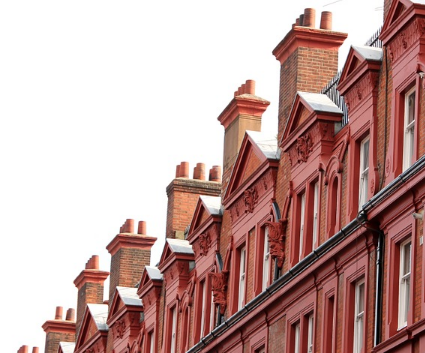 Why does it pay to repair your chimney? A fireplace is a cozy way to warm your family during the colder winter months. However, regular cleaning, whether with a professional chimney sweep service or simple maintenance is essential to maintain safety for your family and property. With any fireplace, residue from creosote and soot will build up in the flue and masonry. If the creosote becomes very thick, a single spark can start a fire. Chimney cleaning is a simple way to remove soot and creosote build-up. Make your family safer by regular maintenance and cleaning. Additionally, birds and critters might clog up your chimney over time, increasing chances of carbon monoxide poisoning. Carbon monoxide is an odorless gas that can quickly build up if your chimney is clogged. Professionals will clean your chimney and ensure that your family is safe from fire and other dangers. Those additional creosote deposits minimize the effectiveness of your chimney. This lessens the warmth of your home, causing you to use more fuel to keep your family warm. The takeaway? Stay warmer with a clean chimney. Besides helping your family stay warmer and safer, regular professional chimney cleaning reduces overall wear and tear to the different components of your chimney. Ashe, soot, and wood particles can affect the smoke shelf, damper, and masonry of your chimney. The grime and dirt will break down the components and structure, sometimes leading to costly premature replacement. It is recommended that your chimney is cleaned every six months. Additionally, regularly maintain, sweep, and clean your chimney to prevent build-up and damage. Speak with a professional about how you can maintain a safety for your family with regular chimney cleaning. 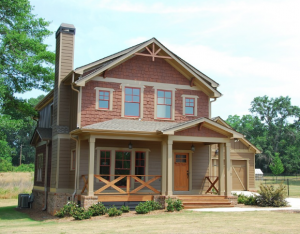 What Does Chimney Repair Cost? Enjoy the beauty and comfort of a luxurious fireplace. However, be sure to maintain the fireplace to ensure a lifetime of use. 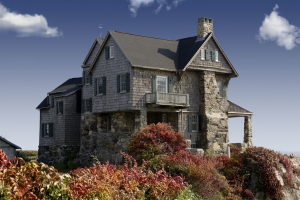 Chimney repair cost may seem daunting to calculate, but there are actually several very basic pieces to consider when evaluating the overall price of professional chimney repair. Reduce the risk of fire and maintain an elegant clean look by regular chimney sweeping. Costs can range into hundreds of dollars. The chimney repair cost overall will depend on the amount of creosote resin is coating the chimney wall. Creosote resin is released into the smoke. It accumulates quickly. If you peek into your chimney with a flashlight and see more than a third of a centimeter or thicker, it is time to sweep your chimney. Routine cleaning will prevent the creosote from accumulating to high levels. While you should hire a professional to clean your chimney, some minor maintenance can be done by using chimney cleaning logs which help the tar fall away from your chimney walls. However, this is only a basic way to maintain the chimney. Most of the time, you will need a professional to remove the buildup. 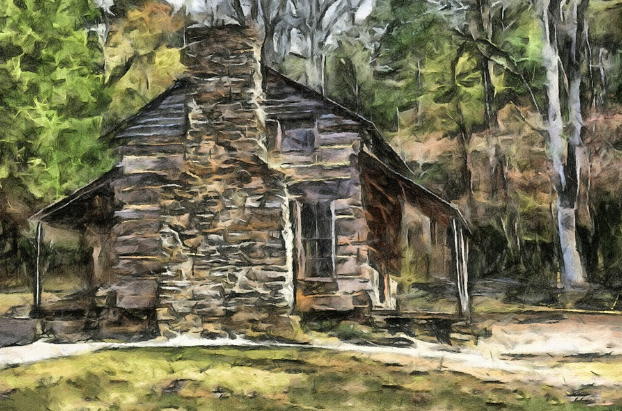 Mold and wood rot can be a problem if water leaks into the chimney. Water is acidic. Combining with the creosote rust can permanently destroy dampers. Water will also damage mortar and wood. Cost ranges from a few hundred to several hundred dollars. Contact a professional for an estimate. 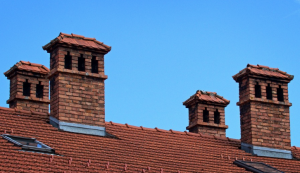 Chimney crown repair is an important part of good chimney maintenance. The crown prevents precipitation from traveling down the flue, protecting your home, the brick and mortar, and the overall structural integrity of your chimney. The crown may prevent critters from entering your home. The spark arrestor protects your home from stray embers and sparks. A cracked crown can allow water to enter the home, causing irreparable damage to the brick and mortar, wood, and your home. During inclement weather, smaller cracks in the chimney crown can expand, requiring a full chimney replacement. A crack in your chimney can range from a couple of hundred dollars in repairs to a few thousand. If you find a crack in your chimney, it is best to repair it as soon as possible. 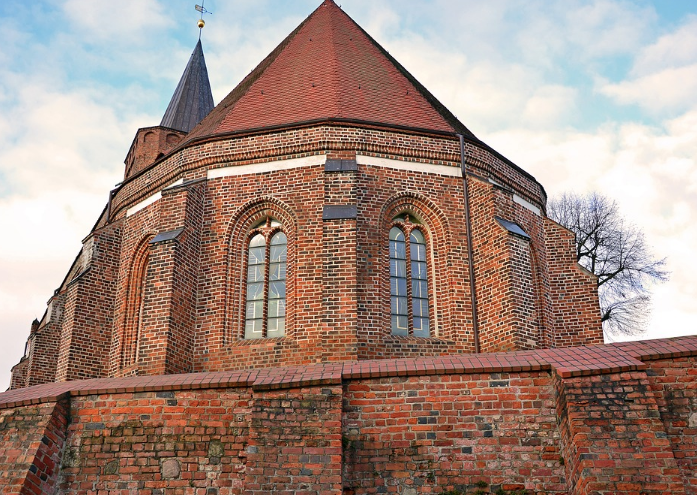 A brick mortar repair is more affordable and may prevent nearly irreparable damage to your chimney. If you need to repair the entire chimney or replace it from the crown to the roofline, expect a price tag up of a few thousand dollars. 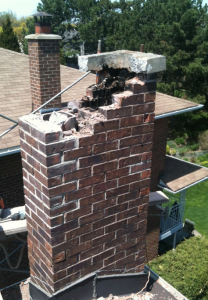 In some cases, structural damage is too extreme for a partial repair and the entire chimney would have to be replaced. Expect to pay more than ten thousand dollars for a full chimney replacement. Maintain your chimney regularly. Look for buildup, cracks, and leaks that may lead to larger costs. Call a professional to assess the status of your chimney to ensure safety and security for years to come.